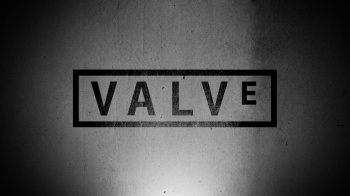 Valve's Chet Faliszek sheds some light on the company's culture. "We are all still trying to figure out exactly what it is that Chet does," says Chet Faliszek's company biography, but in a recent interview Faliszek shed some light on what it takes to work at Valve. You be creative by having freedom, he says, but you need to be able to focus and create something if you want the job. Faliszek joined soon after Half Life 2 and didn't get the bossless culture at first. It took him a few days to understand that, at Valve, people really could just go off and work on whatever they chose. "But the thing is," says Faliszek, "we hire people who understand that they can work on they want, but that thing is always going to be what is most valuable to the company, or what you think should be the most valuable thing to the company." Faliszek advised people who wanted their Valve dream job to make something, anything. Creativity is what Valve needs, and people who can't demonstrate an ability to create are just "another resume to throw in the trash," according to Faliszek. "There's a bunch of things you could do," Faliszek said, "as long as you're excited by your work." Prototyping is one way of going about it, as is making a mod or a small game. Even making hats for Team Fortress 2 is a foot in the door. The point Faliszek makes is that creating something shows Valve much more than a four-year degree on its own will do; Valve needs people who can make things by themselves. "Once you're excited about your work," Faliszek said, "you will want to succeed. That's how you get noticed now. It's silly not to be doing something."